Some will say I was the one responsible for tempting you with these mouthwatering horseradish-mustard burgers…but…it wasn’t me. Others will add that I'm guilty of suggesting you pair these burgers with some incredible home made oven fries. Again…it wasn’t me. A few may insinuate that I was the guy who mentioned these moist and delicious burgers would be a hit this weekend if you served them to friends and family. Once more…it wasn’t me. If you’re under the impression that I’m in denial about sharing this recipe, you're right. But it's not my fault. Blame the song I was listening to while preparing these burgers; Shaggy’s “It Wasn’t Me”. In a medium bowl, whisk together mayonnaise, sour cream and mustard. Lightly season with salt and pepper. In a large bowl combine beef and half the mayonnaise mixture. Reserve the remaining mayonnaise mixture. Form beef into four equal sized patties. Let patties set in the refrigerator for 30 minutes. Grill patties over high heat until cooked through, about 4 minutes per side. (Be gentle when flipping). Place cooked burgers on top of roll bottoms. Toss lettuce with reserved mayonnaise mixture. 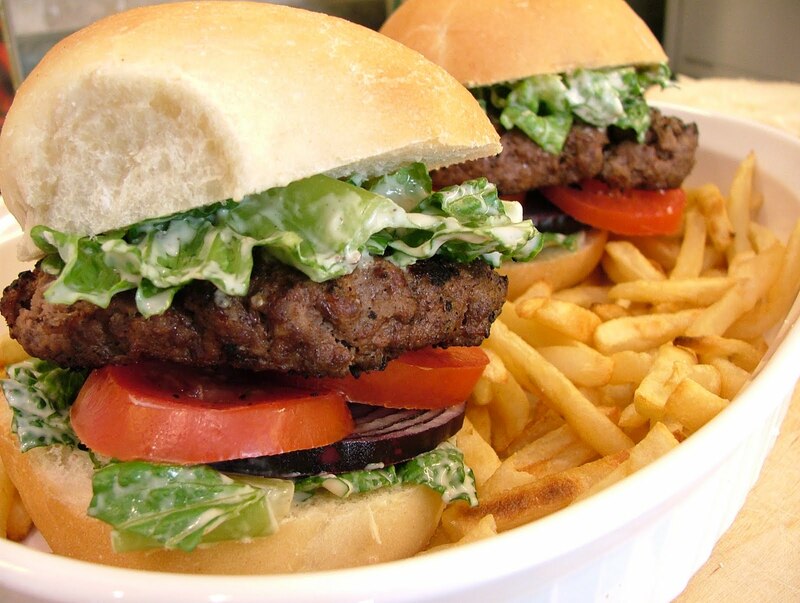 Top each burger with equal amounts of lettuce mixture, sliced onion and tomato. 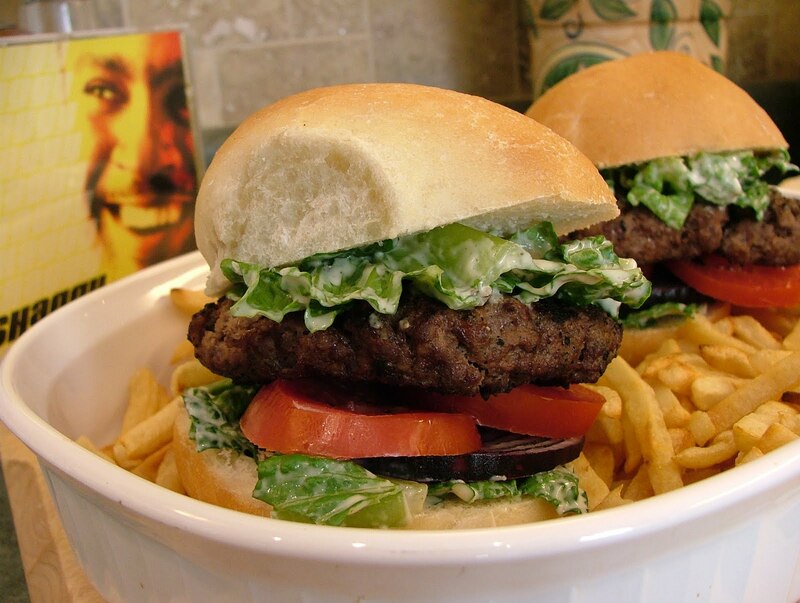 Cover each burger with roll top and serve.